Wayne Bennett admits South Sydney deserved their shock NRL loss to Manly, conceding he'd seen signs of their first defeat of the season coming for several weeks. 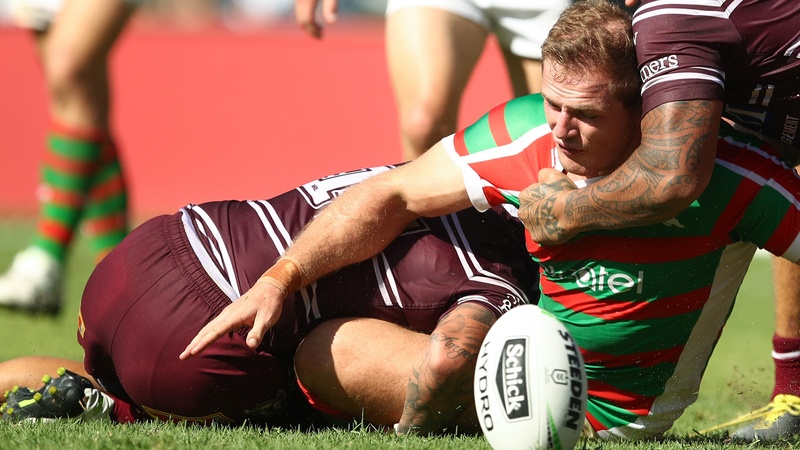 Bennett was left frustrated by his Rabbitohs' attack in draining conditions on Saturday afternoon at Lottoland, as they made 11 errors and missed 27 tackles in the 13-12 golden-point loss to the Sea Eagles. The competition's most-impressive team in the opening fortnight, Souths weren't as brilliant as they had been in holding off Gold Coast in round three. "Our performances have been getting worse since we played game one. Hopefully, it's a reminder to them all they've got to prepare better," Bennett said. "Everything that was happening around the place suggested it wasn't far away. "It's not the talent - it was the attitude today that killed them. They have been heading in that direction for the last couple of weeks so, hopefully, it will be a reminder to them. "We got what we deserved. I thought we were average." Still without Greg Inglis through a shoulder injury, Bennett is unsure whether his star centre will return next week against the Warriors or in the annual Good Friday clash with Canterbury. There is at least better news for five-eighth Cody Walker, with Bennett confident there are no serious concerns over his shoulder, despite the No.6 copping another knock in the first half after being injured last week. However, he hoped the loss would prove a wake-up call, given the perceived recent drop. "The one thing we know, we're not going to win every game in this competition. We've taken a loss today. Hopefully, we can learn from it and move on," he said. "Correct some things that might not have been corrected had we not had got away with a flukey win." Bennett also defended Adam Reynolds, who missed three shots at goal and field goals either side of the end of regular time, before Daly Cherry-Evans kicked Manly home in golden point. "It's never one guy when you play like that," Bennett said. "There was a lot of them out there. So he wasn't by himself."